I tend to gravitate towards modern-day women’s fiction, so I wasn’t prepared for this book to resonate with me like it did. 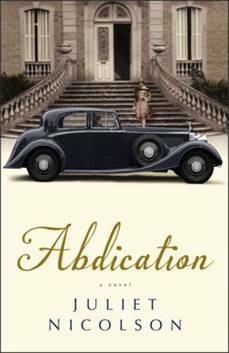 A fictional account of the events surrounding the abdication of King Edward VIII from the throne at the beginning of the second World War, Abdication weaves the stories of the actual participants and imaginary onlookers in a seamless and engrossing way. First, we meet May Thomas, newly arrived in England from the island of Barbados, who along with her brother is struggling to create a new life for themselves in the home of their cousin. Her situation improves when she is hired as a secretary and driver for Sir Philip Blunt, a member of the king’s cabinet. She meets important and influential people such as spinster Evangeline Nettlefield, who has come all the way from Baltimore to visit her godmother, Lady Blunt, and her childhood friend, Wallis Simpson. 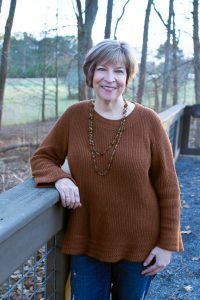 May is instructed to close her eyes to the controversy that surrounds her, but as time goes by, Evangeline realizes that Wallis has become more than just a friend to the king. At first, she supports this, but over time she grows to resent her friend’s neglect and begins to seek opportunities for revenge. We also meet Oxford graduate Julian Richardson, close friend of Sir Blunt’s son Rupert, who has a heart for the underprivileged and a deep concern for the trouble he sees brewing in his country and around the world. He finds May to be an intelligent and sympathetic confidant, and over time their affection for each other grows to the point that neither of them can deny it, although it is unsuitable for them to declare it. Evangeline’s crush on the much younger Julian adds some comic relief from time to time. A fascinating take on the love affair that rocked a nation on the brink of war, Abdication is authentically satisfying. With its great cast of characters, attention to detail, and historical accuracy, I highly recommend this book, especially to anyone who would like to learn more about the history of the time.